With victories over the national champions Clemson and Big Ten champions Penn State, the 2016 Pitt football team racked up some of the program’s biggest accomplishments in recent memory. But to continue the success in 2017, head coach Pat Narduzzi will have to find different ways to win games — something which could make an already tough schedule even more difficult. After losing 19 seniors and offensive coordinator Matt Canada, the Panthers do not look like the team that had an impressive 8-4 regular season last fall. 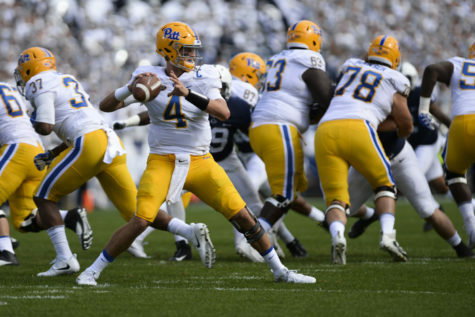 Last year’s Pitt offense — led by quarterback Nathan Peterman and running back James Conner — blazed by defenses on its way to becoming one of the best groups in all of college football. Canada was the guru of the group, enabling the unit to be both unpredictable and explosive by balancing Peterman’s deep-ball talent with Pitt’s power-run game. Conner didn’t see as much work as he did in previous years, but still gained 1,092 yards and scored 15 touchdowns on the year. At season’s end, the Panthers averaged 40.9 points per game, good for 10th best in the country. 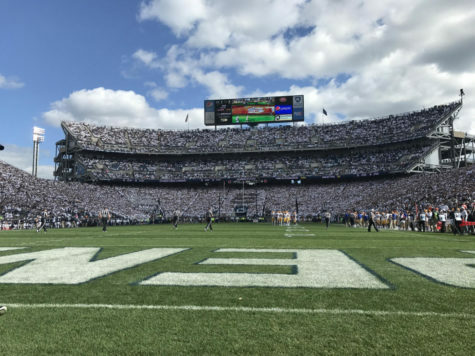 And they needed every one of those points, as the team’s defense — particularly the secondary — was absolutely atrocious, giving up an average of 452 yards per game. 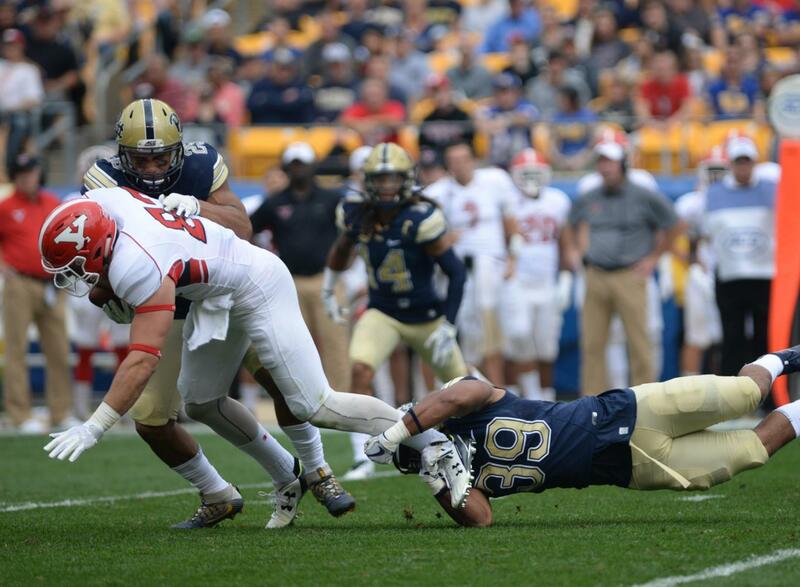 Pitt just didn’t have the players to compete on the back end last year — it’s that simple. 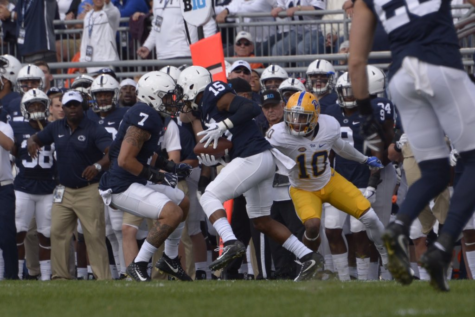 While safety Jordan Whitehead was a star player, most of the other secondary was either inexperienced or inconsistent — or both. That combination led to a lot of busted coverages, and when Whitehead failed to cover for the rest of the secondary’s mistakes, trouble brewed. The Panthers also struggled when matched up with bigger, physical wideouts. Case in point, in Pitt’s Nov. 12, win at Clemson, the Tigers’ 6-foot-4, 216-pound Mike Williams caught 15 passes for a whopping 202 yards against Panther cornerbacks Avonte Maddox and Ryan Lewis. 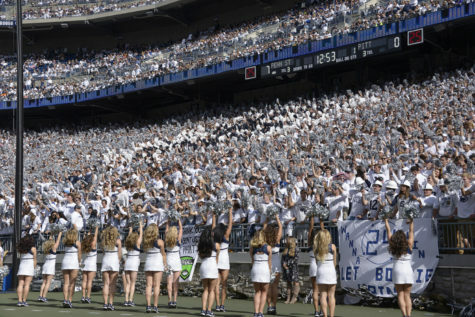 Still, with the offense to carry them, the Panthers managed to win eight games in the regular season and probably would have won the New Era Pinstripe Bowl against Northwestern if Peterman and Conner weren’t injured. This time around though, the team is a lot different. Canada is gone after accepting the same job at LSU for a reported $1.5 million according to The Times-Picayune, while Peterman and Conner are now in the NFL. 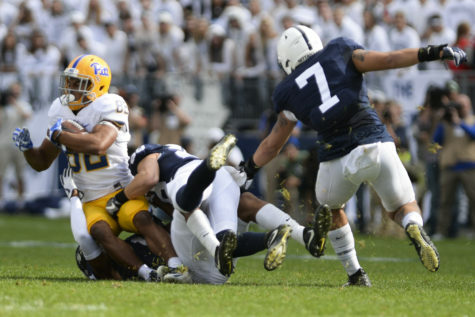 With the position changes on the offensive side, Pitt should look to slow the tempo down by using its still-impressive stable of running backs. 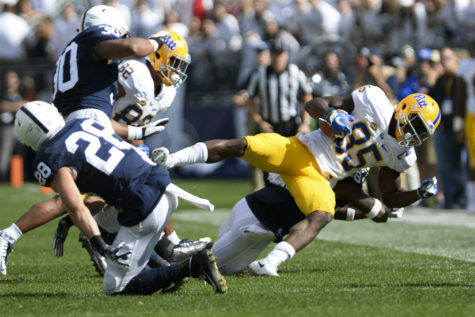 Even though Pitt lost Conner, the Panthers still have a lot of talent at the running back position with players like redshirt junior Qadree Ollison, sophomore Chawntez Moss and junior Darrin Hall. This will definitely help to lighten the losses, and it should help the offense come closer to where it was a year ago. In fact, it could help out on the defensive end as well. You can’t score if you don’t have the ball, right? And if the Panthers can eat up clock using a solid running game, they can keep their opponents — and the defense — off the field for a majority of the game. Even if the offense succeeds at keeping the ball away from its opponents, the defense will need to drastically improve its play to win. That could be tough to do with all the new players. Maddox — a starter in six games his first year, all 13 his second, and nine his junior year — is the only senior in the Panthers’ secondary and will likely be one of the better one-on-one defenders in the conference. Junior Phillipie Motley will likely start opposite Maddox while junior Dennis Briggs will look to start at safety at the start of the season while Whitehead is suspended along with two others. 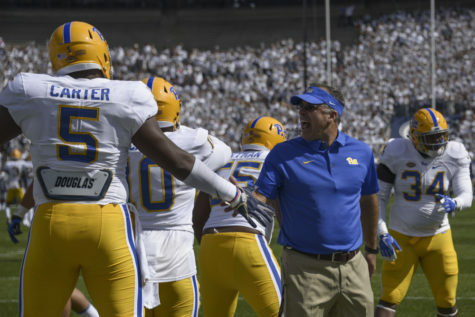 In any case, Narduzzi will surely be looking to young, inexperienced players to fill the vacant positions, and a number of them will need to grow up especially fast. Among them are redshirt freshman Phil Campbell and sophomore Damar Hamlin, who were both highly sought after recruits coming out of high school. But the most intriguing prospect of all might be true freshman Paris Ford, the No. 52 player in the class of 2017 according to 247Sports. A product of local Steel Valley High School, Ford led the Ironmen to the school’s first PIAA title last year, recording six touchdowns on interception returns in that season alone. There are some issues to deal with though, namely his academic standing with the NCAA. Narduzzi has been hoping to have Ford declared academically eligible all summer long, and if he is, it would be a big help to the Panthers’ worst unit. Either way, the Panthers won’t be able to win with the combination they had last year. 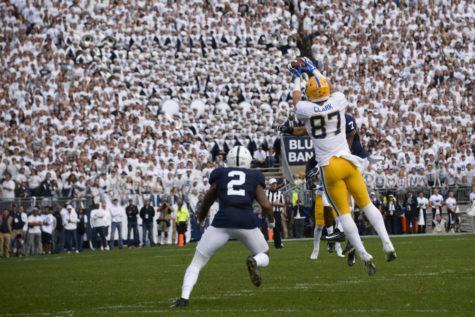 The offense will almost surely take a step back and won’t be good enough to make up for poor defensive performances. They’ll need their defense to play aggressively and make big stops to get off the field on third down. Without that, the team won’t come close to continuing the success they had last year and will sink down into mediocrity, at least momentarily. Fans can be excited about the young talent, though, as the secondary will undoubtedly be elite come 2018. The unit’s — and the team’s — future is bright, but the only issue is that the future isn’t now.